Selamat Balik! We return! Your world is engrossed in the final stage of a conflict which began when the Anunnaki left their dark on-planet minions to fend for themselves and joined the ranks of the Light. This abrupt switch caused mass chaos among the different groups of power elites on your world for nearly half a decade. The advent of the second Bush administration temporarily gave an edge to the pro-western cliques of the dark minions over their Asian counterparts, but now the tide has turned and those who possessed power long before the hegemony of the West are reclaiming their former places of authority. However, this time their focus has shifted from internecine considerations to a wider arena: the establishing of a new financial and monetary system for the entire planet, including new global governance. Various enactments such as NESARA are prototypes of what is planned. The intention behind such massive change is to transform your realm in preparation for our arrival, so that once we are here we can hasten your path to full consciousness. The first item on this agenda is to liberate you from any type of slavery, and there are many forms that presently burden you. The most overt form of slavery is your legal and financial systems, so these will be the first ones to be remedied. Restoring your innate sovereignty is predominant in our actions. Beginning with the material aspects, there will be full debt forgiveness, universal prosperity, an end to illegal taxation, and a formal government declaration of a new form of governance. Only then are you to be restored completely to your natural, Creator-given rights. Once your lives are filled with prosperity and survival issues are put to flight, you will be able to recognize the deep need within you for answers to many things, including what we have to offer you. There is so much for you to learn about, and your individual mentors and we are gladly anticipating candid and open-ended discussion between us. As we answer your questions they will lead to new questions, and so vast new perspectives will open out before you. Like hungry shoppers entering a very upmarket delicatessen, so many different, exotic kinds of spiritual ‘food’ will suddenly be available to you! And indeed, you will require this factual nourishment to enable you to understand fully what Heaven has planned for you, including the nature and unending wonders of full consciousness. We are being asked to change your environment and transform you back into your natural state. It is your right to be surrounded by all the knowledge you can absorb before this sacred operation sweeps you up into a most divine matrix. Since your inception on Vega millions of years ago, all the cosmos was open to you in your natural state of Beingness, and now this sacred gift is to be returned to you. As a sovereign being, you can begin to glimpse the exquisite state that Heaven desires for you, and so we come not just to transform but to mentor you as well. Bear in mind that what is happening to you is a unique occurrence: normally, such dispensations are not available to those who have been tangled up so deeply and for so long in the dire throes of limited consciousness. However, your unique blueprint and history warrant this gift and also our involvement. There is so much to talk about in such a short timeframe, and we are fully prepared to deal with any challenges that this time-squeeze produces. To this end we are busy setting up the means to give you the information you require. The coming time will be full of well-earned victory celebrations for all the many alliances involved with the Light. Above all, we very much look forward to finally meeting you! We established links with the diverse divine Sisterhoods and Brotherhoods of the Light and your personal galactic mentors have been specially trained to work closely with your Ascended Masters. Your mentors will be able to liaise quickly with the many Orders of Ascended Masters to get the answers that you request from them. This access to information is only one of many connections that your mentors will be privy to as we are ready to furnish you with a full accounting of all you need to prepare you for full consciousness. A no-holds-barred dialogue with us will logically come first; next, the process of transforming you back into your original divine blueprint which will take place in Agartha, followed by a thorough training in full-consciousness etiquette. Then you will be ready to experience moving to other planets in the solar system, if you so desire, and setting up your own unique star-nation. Blessings, dear Hearts! We are your Ascended Masters and we come to bring you much good news! Those who have been working hard to expel the dark cabalists from power have won another legal victory: all the cabal’s principle minions are under threat of imminent detention. Further, the major agreements pertaining to the setting-up of the new monetary system are done, and documents are shortly to be signed which will establish the procedure for replacing the world’s fiat currencies with hard ones. These agreements will be implemented once the required signatures are in hand. Each nation is to receive a portion of the bullion presently held in vast secret depositories and this will guarantee its new hard currency requirements. Another issue to be resolved was the date upon which this was to be done, and this is now decided; however, the timing will remain under wraps until this activity is completed. At this time we Ascended Masters are finishing preparations for teaching humanity about the truths long kept secret behind the facade of a number of your philosophies. These questionable systems of thought have been the validation for various activities and policies enacted by your major governments. The secret truths, however, are in fact the key to the way your reality operates and it is time that you are reacquainted with them. Our mission is to prepare each of you for the holy journey to full consciousness, the first step of which is the change of governance, followed by disclosure and the unveiling of a host of secret technologies. In this atmosphere of revelations and unveilings, we can freely begin our global teachings, some of which will blow apart the core concepts that your major philosophies espouse. In our teachings will be found the divine truths that are to set your reality free! Our mission is to reestablish the hallowed link between this reality and Heaven. Each one of us has taken the sacred ascension path in order to be able to teach and guide you at this time, and we are ready to assist you in your massive transformation. The process of returning you to full consciousness is not only a sacred Ascension in itself but it also exposes you to huge amounts of information concerning the ways of Heaven. As a new fully conscious Being you will be able to draw on prodigious levels of dedication and focus within yourselves and you will find this easy to acquire with the specialist training you are to receive. Heaven has created a full-consciousness-etiquette school that all will attend when you leave your Light Chambers. All who gain full consciousness pass through its halls and are filled with awe and delight at the marvels to be discovered there. All this awaits you! Right now, new monetary systems are coming into being, and with them come edicts announced by new governance, including revelations about a cover-up of truly staggering proportions. As you can imagine, these announcements will change your reality exceedingly, and we are here to be your loving guides during this most amazing transition…. Dear Ones, there are ideas and creative projects blossoming all around you. Your dear Masters Anne and Kathryn are planning a meditation and fast to bring Disclosure to the planet – to be conducted as a group effort, with a BlogTalkRadio connection each day to help the process along and to give support for all. It will begin on July 17. We will give you more details in the next message, and it will also be posted on the Hollow Earth Network site. The first three days of the event will be designated as a fast for those who can do it, with an accompanying group meditation every morning and/or evening. Like the Summer Solstice show, which was a glorious success, there will be call-in time for members who wish to offer a meditation for the group. The offerings last time were varied, deeply moving and heartfelt. It added such a sense of warmth and companionship that the energy lifted with each passing minute. What a wonder it was to see the light increasing all around the world as a result of the efforts of your group and many others like it. This time, the meditation will begin on the 17th, and the 3-day fast will last through the 19th, but we ask that everyone who can should continue the fast for the next 4 days through the peak of the full moon. Imagine the power of such an event, when the numbers are counted and the brilliant Light of your own group is felt everywhere. The meditation, of course, is a powerful component, so even if you cannot continue the fast, you should continue the meditation while focusing intently on the Disclosure and its aftermath. You know the Law of One. When all of you envision the Disclosure and the peaceful landing of the ships, focusing your feelings and thoughts together, it is created. The flow of intense energy which continues will carry it to completion in quick succession. You, Dear Children, will be making it happen. The reason to include the fast with your meditation is that the act of fasting is a definitive statement of your dedication to making it happen, and is a very powerful reminder of the cause you are supporting with all your concentration and will. It is so unusual for most of you to eliminate the ceremony and the activity of eating from your daily routine, it will create a tremendous focal point which will keep you “in the game” for many hours of the day, even if you have to go to work. Your mind will never be far from the fervent prayer in your heart – the wish to see your world leaders stand up before their people and announce that yes, there are extraterrestrials here waiting to help us, and yes, we are in contact with them and have been for many years. Picture a flood of documents being printed in your newspapers, non-stop announcements and informative television programs to reveal the extent of the knowledge which has been gathered over the years. See in your mind’s eye the amazement of the people sharing the information, calling in to talk shows to tell of their positive experiences with extraterrestrials, and at last, the admission by your governments that the abductions and testing done on its citizens were in fact an in-house secret program, not conducted or condoned by the Galactic Federation of Light. For days, people will talk of nothing else, until the enormous weight of the information will finally tip the scales to convince everyone but the most paranoid recluse that our Star Brothers and Sisters are far advanced in their technology and their level of civilization, and that they come in peace. Imagine how their pictures will be everywhere on the internet and news, with our beloved Ashtar starring as the respected and admired Commander whose leadership efforts have made the protection of your planet a priority in the Universe. The global conversation will expand, day by day, to include the exposure of the dark activities of the cabal. Names will be revealed; heroes and villains will at last be shown by their true actions, and the citizenry will begin to realize how distasteful the pursuit of material wealth really is. Generosity, which is always sparked when people are freed of the constant stoking of irrational fears, will carry the day, and the celebrating population will fill the streets with music and dancing. As the news of the friendly fleet reaches the consciousness of all humanity, so too will the news of our beloved Sananda, the Admiral of the New Jerusalem, come alive in the imaginations of the people. Will any government anywhere be able to deny a landing spot with a heroes welcome when the news of the precious cargo aboard – the Ascended Masters, Twin Flames, and the beloved Lord Jesus – are here to walk among the people? It will be then that the full appreciation will come for the information and Faith that has been revealed by this dedicated group, which will be appreciated for its forward-looking vision and its clarity of purpose. When the time comes, you will all be in a position to explain, reassure and lead people to an understanding of The True Way. It will then be important that you have carefully read and listened to the calls and radio shows. You thought when you began reading these blogs that you were simply satisfying your curiosity, or deepening your own spiritual search. That was only the beginning. You will soon have the opportunity to be leaders in the new Golden Age of spiritual teachings. When these events unfold, please be aware that the lessons presented here have been given to the world for free, but that does not mean they are of less value than the $500 weekends with a spiritual teacher, or a slick CD set of recordings. Thousands of hours over many years have gone into the creation of these writings and live presentations, which together make up a comprehensive guide for Ascension. We do not intend to diminish the work of our other hard-working channels; all have contributed to the uplifting of the global consciousness. We have chosen to present a particular course of study here which is different from others because we had the availability of a channel whose life’s work it was to heal psychological wounds in order to help people reach the highest possible levels of human achievement. She also has a keen sense of American history and World religions. In fact, she was trained for exactly this purpose by Sanat Kumara, whom many have called the Lord of the World. So you see, this project was hundreds of years in the making. When Kathryn joined forces with our beloved Lady Nada of the Hollow Earth Network, a powerful network of global reach was formed. As you are aware, Lady Nada is the Twin Flame of Sananda – a woman of great personal power, wisdom and boundless Love. This partnership is no coincidence, as you may have discerned. The Twin Flames of Sananda and St. Germain share the temperament, broad knowledge and leadership qualities of their male counterparts, and this is the beginning of the Golden Age of Feminine Power. 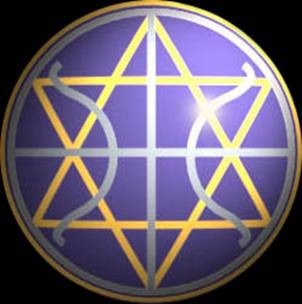 They have established close contacts with many other Lady Masters who will be revealed as the talented and courageous experts in every area of the cultural, political and healing arts. Who better to represent our teachings as we enter this glorious period in history? Another project is in the works which will bring a powerful healing technique to those who are suffering with severe disease and pain, but who are hanging on to reach their dream of Ascension. Kathryn/Lady Portia will organize a volunteer Healing Task Force drawn from the thousands of Lightworkers who read these pages. Sessions will be planned to send powerful healing energy to individuals who have been identified as severe medical cases. Record of these healing sessions will be kept, and evidence collected to show the profound effect of directed Light energy on various forms of disease, so the healers themselves will know of their effect on the patient. Most of those involved will do the healing at a distance, but volunteers on the ground may lead the healing session should there be ones who may be located near the person receiving the healing. Volunteers may send an email headed “Volunteer” to Kathryn via her website, http://www.whoneedslight.org. A special email list will be created to inform all of the time and date of what will be a one-half to one hour session in which all will focus their energy with maximum power to restore the patient to perfect health. This procedure is especially effective with diseases such as cancer. Patients or family and friends of patients should send an email, with some detailed medical description and history to Kathryn, titled “Request Healing.” And so will begin an historic Etheric Healing Center which can reach everyone, no matter where they are, and which will document “The Power of Prayer” in a way it has never been done before. The level of expertise of the pool of healers reading these words is magnificent, but professional training is not required. All may add their intention, and each one will add dramatically to the power generated by all working together. We now apologize to Lady Portia and Lady Nada for publishing their credentials here, but they will forgive us once their embarrassment passes, and they will continue their gracious lives of service to all of you. You are now aware of the intentional network you are participating in, and can be comfortable in the value of putting your shoulder to the wheel of these Heavenly projects. With endless gratitude, we welcome your participation and energies as we move together toward the completion of the first immense Shift into higher dimensions, one day, one meditation, one healing at a time. Via Kathryn May, July 12, 2013, 1 am. The grand event is upon you dear children of light, we are preparing each and everyone of you lightworkers, for the grand event that is about to take place on your planet earth. The grand sextile, of the planets, and conjunction of the human heart code with the heart code of Gaia and another planet. Yes indeed dear children of light, there is another planet that is moving closer and closer into alignment to form a sextile, and trinity that will allow for another wave of massive awaking to begin. We speak with you now from the mother ship that is located at 74 ° degrees south of your planet’s equator. Due to all of your efforts and anchoring of the light onto planet earth many of you have watched as the earthlings suddenly woke up. Many of you have watched as more and more of your brothers and sisters poured onto the streets and protested that they no longer wish to live under the rulership that is presently occupying GAIA, But dear children of light, the scale has not yet been tipped, that albeit it seems that the whole world is protesting and asking for change, that is not all that it could be, and so, it is a step, a powerful step in the direction of Intergalactic Federation of love, light, abundance, and prosperity for all and one, for one and all, the universal project of GAIA. And so, we repeat that in the next few days of your earthly time, you are going to experience a cleansing process known n to men as purging. Much of the issues that have been laying dormant within your memory cells is coming up for cleansing. You are going to experience a lot of that, and as the negative emotions that have been laying dormant begin to rise through and out of you, be prepared and understand that the “dark side” will try to hold you in that state of negativity, for they are still trying to hold on to power by any means necessary to remain on planet earth. It is now up to you. You have the power to allow this energy to stay, or purge it and remove it from your field. The process is a painful but a necessary one. And so, notwithstanding the fact of your meditations, notwithstanding the fact of your various spiritual practices, you may still find yourselves overcome with a sudden fear, anger, frustrations, misunderstanding, irritation which will give you a desire to quarrel with your loved ones, to find yourselves in arguments unable to stop and not understanding how you have arrived in this situation to begin with. Please know dear children of light, please know our dear brothers and sisters, that the process that you are experiencing are not your emotions but are magnified versions of them. Please understand the reasons for this occurrence is that you are being manipulated by those that have found a weak entry point into your auric fields. We ask that you practice the cleansing techniques that we have brought to you earlier, through various channels around your world. And the protective techniques, that are widely spoken about. Activate your Merkabas, activate your protective shields, for now is the time that you need them most. Fear NOT and remain in balance at all costs. No matter what may come your way, and much will, for you are being manipulated by the dark, in order to throw you in the chaos of instability and irritation, in order to create holes in your shields and find their ways into your heart center to disable your light, in order to disable the anchor within. Do not allow this to happen. Realize that none of these emotions are yours, for they are not. Release them as soon as soon as they come up and DO NOT DWELL ON THEM. Do not allow these emotions to permeate through your body. YOU ARE IN CONTROL OF YOUR ENVIRONMENT! Watch your thoughts carefully from day to day, hour to hour, minute to minute, second to second, and millisecond to millisecond. FILTER EVERYTHING. And only allow the positive vibrations to permeate through your body. Understand that although we are here for you. YOU ARE the ones in control of your own selves. As soon as you feel this coming over you ask your guardians, ask you guides, ask your higher selves, to release this from you into the light, release anything and everything that is throwing your balance off into the light and remain , at peace, harmony., light, love, understanding and joy . Ground yourselves as much as possible, and prepare. Prepare yourselves dear ones, for the grand event is coming to your earth shortly. That is all we have for you at the moment. We are with you. We love you. Goodbye for now. Well … here we go with attempt number 4! I know you are always around … yet are you around to have a chat with me? Oh good. About time … what have you got to say for yourselves!! We see the humour in your energy and we offer much gratitude for your perseverance. In times past we have found ourselves to be expendable and we care to say that without us ‘having chats’ you have found yourselves perfectly fine. The wisdom we chose to bring through … as you FEEL Blossom has a certain ‘ring’ to it and at times it seems you wonder what this is all for and where indeed it is leading you. Don’t get me wrong … your wisdom has made such a difference to my life … along with my mate White Cloud … it’s just that sometimes .. I feel like I am in limbo and question as to whether or not anything concrete will ever take place in the time I have left upon the Earth plane. We accept entirely that we are not where you are … or having to experience the lower vibrational frequency on a day to day basis. We hear many of the ‘pleas’ from all of you and yet we cannot ‘change history’ before it is meant to be changed. I get that … and I know I am probably being very selfish and childish … yet so many write in with suggestions … in that … a little … or big something from you , would seriously assist us to have the ‘oomph’ to carry on. You are therefore saying that our words are not enough? Sort of! I LOVE what you have to say and I LOVE communicating with you … We all do what we can to lift our vibration … yet … even so … looking out at the night sky … our hearts want more . Yet would you not say that the KNOWING in your hearts as you see the twinkling of the stars allows you to have the ‘more’ that you are seeking. It indeed helps me to KNOW my TRUTH … The FEELING I have looking up into the awesomeness of the night cannot be denied. Yet a lot of the time I am saying ‘Come on … show me YOU!’. And you think perhaps the rest of your days will be spent FEELING the same? Yes … sometimes … The wait has been so long. Our TRUST KNOWS YOU. Our FEELING KNOWS YOU. Yet how good would it be some time soon for us to have that little ‘party piece’ … in order for us to have a boost … To convince us that indeed we are on the right track. We smile Blossom. For you KNOW this in your heart do you not? Yes I do. But you seem to be avoiding the issue! Surely with your intelligence … you can come up with something to delight us Earthlings. Something tangible? Indeed we can. Yet you must understand the reason why … as yet … we have not done ‘The Big Display’ that you are all asking for. So many of you KNOW us. So many of you have awoken and KNOW without question we are with you. Even though you may have your human doubting days. Yet so many of you have not awoken and we would simply put so many in to fear and panic and this is not how we wish our welcoming to be. But this is what I mean. KNOWING what you KNOW … there must be a way that you could ‘pop through’ that would allow everyone to know that you come in peace! Oh Struth … I don’t know … stand on the top of the dome of your ship and give us a little tap number?? There must be a way that THE LOVE that you are can ‘get through’ to us? The LOVE that is YOU can surely emanate from your craft so that people KNOW you are here to be friendly. Dearest Blossom … even though you think this would work … it would not. Because those that remain in fear to this day … would STILL consider us a threat. But then … if this is the case … how many more years will it take for everyone to be free from fear? Well, in my books … looking at the state of the people in general … we might as well call it a day. So many are still so deeply asleep. Yes many have awoken … yet in general … doesn’t look good. Don’t get me wrong I am in a perfectly good mood today … just chewing the cud so to speak. Many FEEL you should just go for it. Some will wake some will run … yet surely this has to take place at some point … if we wait for fear to leave this planet … well … I’d take a long holiday if I was you . Dearest Blossom … that which we are to say comes only through Love for that is what we are.How many times have we said that one day you will all understand the Greater Picture? Yet … this is our TRUTH. We cannot and would not change it to give false hope. So are you seriously saying that until all fear has gone … you’re not going to show? No. We are not saying that at all. What we choose to say is that WHEN the time comes for your world to KNOW in TRUTH and EVIDENCE of our existence … then you can rest assured that all possible reaction scenarios shall have been taken into consideration. I know you have only our best interest at heart. I am blessed to have these conversations with you I know that. It’s funny … I go on at you for repeating yourselves … yet I do just the same. I’ve said all this before too. Yet … I wouldn’t mind a visit from one of you. Many FEEL the same. It doesn’t have to be a worldwide event … could you not ‘say hello physically’ … yet individually to so many of us that would be ok with it? You must KNOW who we are by our energy? The thing is … I don’t mean ‘in our heads’ … I mean actually show up … physical to physical. Is that too hard? What would that involve? Then what IS the reason you don’t? For what gain? I would say so many of us have been faithful … yet I FEEL this is not about being faithful to anyone but ourselves… am I right ? THAT WHICH LIES WITHIN YOU IS THE VERY KNOWING OF EVERYTHING THAT EVER WAS … IS … AND SHALL BE. By remaining faithful to yourself you are putting into play the very reason for your existence. You are allowing therefore … by having faith within yourself to bring about the entire CHANGE that we are speaking of. YOU KNEW THIS BEFORE YOU CAME! This is why deep down you know that ‘all this’ is not about an appearance from ‘off world species’. You know in your core essence that YOU … THE LOVE THAT IS YOU … THAT YOU ARE … IS HERE TO BRING THIS NEW WORLD ABOUT. Yet … with your assistance … no? Indeed. And at this stage of the experience we are assisting you as much as we are able. The time will come dearest soul … our family … when that which you seek NOW will assuredly come about. We do not play games with you in the sense of leading you on and on and on for no equivocal reason. That certainly is not our style or our intent. We come to assist you in preparation for that which is to befall you. Ok …. I know what ‘befall’ means … yet I had to look it up because I thought it was a ‘dodgy’ word to use … but I’ll let you off. Its True definition is ‘to happen, to occur’. We accept your inquiry. We would not wish for any one of you to follow us blindly. Let us tell you this. WHEN WE COME … YOU WILL BE IN A FAR BETTER POSITION TO TAKE ON BOARD ALL THAT WE OFFER. YOU THINK NOW THAT YOU ARE READY. SOME OF YOU ARE. MANY ARE NOT. WE DESIRE FOR THE SMOOTHEST TRANSITION AS WE MERGE IN LOVE. Sorry to keep interrupting … but if we are not ready … then why were you going to show up way back in Oct 2008? Because that was the plan in the now of that now. Yet NOW we see how many more have been awakened since that time. And we would say … every cloud has a silver lining. Yet you need excitement within it all is that not so? Then we suggest to each one … that you do as we have suggested. THERE IS NOTHING MORE EXCITING THAN ‘GETTING IT’. NOTHING THAT CAN SURPASS THE FEELING OF ABSOLUTE UNCONDITIONAL LOVE. NOTHING! You want excitement? Go search for YOU! THE ESSENCE OF YOU. NOTHING … WE TELL YOU IN TRUTH … CAN OUT DO IT. We do not desire to leave you feeling ‘under par’ by not yet having discovered the fullness of yourselves. We picked up that you interpreted us wrongly Blossom. It is not within us to ‘have a go at you’ as you would say. You all feel that by our initial arrival … the excitement of such a ‘feat’ would keep you High for the rest of your days. We say to you … the initial arrival of YOUR TRUE SELF is way beyond any upliftment that an appearance of a vessel may bring. YOU ARE THE EXCITEMENT YOU ARE AWAITING. THE THRILL YOU ARE SEARCHING FOR. YOU … You ‘little Earthlings’ as you endearingly call yourselves… WHEN FINDING YOUR TRUTH AND ACCEPTING THE MAGNIFICENCE OF IT … COULD NOT POSSIBLY FIND ANYTHING WITHIN OR WITHOUT THAT WOULD LIVE UP TO IT. Ok … accepting that … what do we do then? I keep saying we just have to … keep on keeping on … what choice do we have? Your words of wisdom can inspire and uplift … yet HOW …. HOW HOW HOW do we find this TRUTH? I know I have asked this before … As much as I KNOW what you are saying IS TRUTH … I seem very far from finding that which you speak of … in me. So very far away … yet not saying it is not there. HOW DO WE FIND IT? We are all so very keen to. You are travelling towards it with every breath that you take. When you FEEL good … really good … and alive and Loving … you can grasp a part of it all and you KNOW you are walking in the right direction. When you do not FEEL so good … you are NEVER travelling backwards … just a little wandering off the main path that is all. The more you follow that which your heart FEELS in LOVE … the closer … ever closer you become to finding that YOU which you seek. It sure has been a long journey home so far. With all the wrong turns and obstacles on the pathway. Yet … ever nearer with every step along the way … do you FEEL the warmth of the ‘home fires burning’. If you allow yourselves … you would see all those that march onwards with you. YOU ARE NEVER ALONE. NEVER! There are many times when those ‘unseen’ have picked you up as you fell. Many times they have whispered in your ear words of encouragement. Many times they have sent offerings of Love to the DIVINE CREATOR OF ALL to ask for assistance on YOUR BEHALF. KNOW or do not KNOW these things as TRUTH. It is entirely up to you as to how you FEEL about them. WE ARE NOT MAKE BELIEVE BLOSSOM. NONE OF WHICH YOU KNOW IN YOUR HEART AS TRUTH CAN BE! The ONLY evidence you have of us is YOUR FEELING! … For now. Me and all of us! I keep thinking I must do a blog … yet I really have no idea as to what topic. Enthusiasm wains these days … yet clearly not for everyone. Others seem to be completely inspired and carrying on better than ever. It’s not that I am despondent … or perhaps it is … It’s not for the want of trying … yet everything … practically everything this year that I have put time and effort into … and enthusiasm … seems to either change course or get cancelled all together. If I didn’t find it all so funny … I’d cry! People talk about spending more and more time in the 5th. Nup! Not me … I’m struggling to cope with the 3rd. Yes I can feel changes yet nothing that makes me go WOW … This is it! Apparently it’s a gradual thing this Ascension lark … so very very gradual! Let us , Lettuce Letters continue to come in (did that give anyone at least a smile?) and most seem to be either still very lost … yet determined to keep on keeping on. After all what choice do we have? We KNOW we can’t give up … that would make things even worse … yet … the words ‘Give us a break here’ … I find myself calling out to the stars on a regular basis! Pointless I know … it’s up to us … yet somehow I can’t seem to help myself. I look up in the night sky as we all do. I FEEL a connection with it … I KNOW ‘home’ is out there somewhere. But to be honest … That’s about all I do know. I watch documentaries on UFO phenomena … nothing new anymore. Unless spectacular … I rarely watch YouTube links of UFO sightings these days. We are beyond all that now. We KNOW THEY exist. We do not need proof of that … yet how we yearn for a ‘kick start’ … instead of unfulfilled promises. I find it amazing that those who are out there putting themselves on the line for disclosure etc. … have no connection with most channellers. 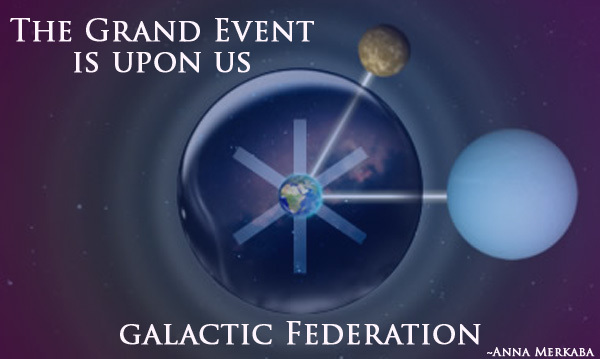 Someone wrote recently who said they had met Dr Steven Greer and asked what he felt about The Galactic Federation and he had never heard of them! Maybe if we worked together we may just get somewhere … yet it seems, like many … they think ‘us channellers’ to be out of the local doo-lah-lah bin! Sometimes … when I think of it … I find it quite bizarre that I speak with ‘off world’ people. To me it seems so natural when I am doing it … Yet I can see how others would find it simply ridiculous to even comprehend that I do. I mean … I do get that … I think I would find it odd … if I wasn’t me! And as I always say … I have absolutely no proof … yet for some reason thousands of people connect greatly with what comes through me … so surely to God … there has to be something in it! So … this ‘ere blog post … what is it actually accomplishing? Not a lot. Other than the fact I can say ‘Oh good. I’ve at least done a blog!’… No valuable words of Divine wisdom here … just sprouting thoughts … unenthralling ones at that! I read so little of other channellers and what is going on in the entire scene anymore. When created, I didn’t get in those queues for the financial, political, indeed intellectual side of life. I have no interest at all … which some find very odd … Yet I simply don’t! So any channels about such subjects, I seem to switch off from reading if they arrive in my inbox. So I have very little knowledge as to what is being said lately from above. It all sounds the same to me. Is that blasphemous? Who knows! Just my feelings on the matter. ‘They’ tell us how very well we are dong … how courageous we are etc. … how very nice! Yet … here we still are … doing what we do … reading more or less the same words as we were years ago. Be patient ‘they say’ … Do we have an option? It’s not that I don’t believe ‘THE EVENT’ will happen … I TRULY do. Whatever THE EVENT IS! I FEEL something HUGE ‘will’ take place … one day … but let’s be honest … we could go on hoping like this for years and years, as so many have already done . You see … this is why I find it odd that I got picked out of the volunteers to be ‘their’ messenger … Hardly coming from a ‘radiant’ place! Yet I can only be me … and say what I feel … in the KNOWING… that usually so many feel the same . Yet I guess it would be far more beneficial to write a hugely uplifting piece and find that so many feel the same about that. That would be the better choice would it not? OOPS! It’s not even that I am ‘down’ particularly … yet not ‘up’ either … having moments of both … therefore leaving me feeling ‘stuck in the middle’. Could we not organise a few intergalactic coach tours? In the future perhaps. Yet how far into it? Will I still be an Earthling, or will I have left this mortal coil and be doing ‘my bit’ in my ‘Light form’? I do so hope I am around to experience this New World that is being spoken of. All I can do is wait and see. Yes I KNOW it is me that creates it for me … my point exactly! The good thing is of course … one never knows what any given moment may bring. As we speak I am awaiting a new duvet set in the post and I am very excited about that!! A new duvet set … you gotta love it! So … lets’ bore you some more shall we? No perhaps not on second thoughts. I laugh to myself as I consider the title of this post. Would anyone in their right mind entice people to read it with such a ‘theme’? … WHATEVER! Please know I find this amusing … Am I really going to post it? I think I am … if only to cross ‘do a blog post’ off my list … it seems to have been lurking there for weeks. So … I’ll take me leave … leaving you the reader so very much in awe of my incredibly insightful sharing … and quivering in anticipation awaiting the next thrilling installment. Golden Rays on the entire matter of course! Ps. If anyone comes across my ‘enthusiasm’ … can you point it back in my direction please! Thanks!